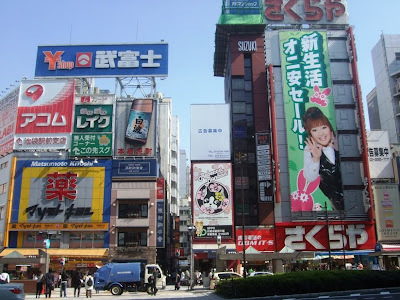 The city of Tokyo is filled with many interesting stores and huge buildings with glaring billboards and signs everywhere. Whether it's a huge colourful signboard or cheap yard signs, they're all equally interesting and hard to ignore. 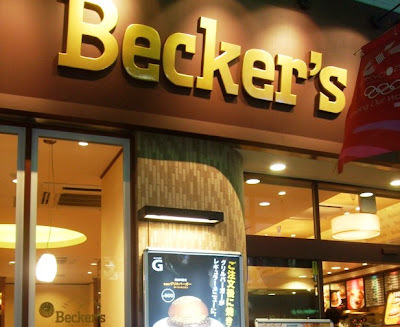 When I first spotted this huge Becker's sign outside this restaurant in Tokyo, I was immediately captivated! Bright and cheery, the sign lured B and me to venture in for a quick bite after walking around the city all day. Inside, it was just as inviting with warm lights to keep the mood cosy and simple clean decor for dining comfort. The menu was extensive and everything sounded delicious. After much thinking, we finally settled for a Grilled Chicken Teriyaki burger, which came with a generous portion of fries. I had my usual iced coffee on the side. Sweet and juicy, this is by far the most delicious Teriyaki I ever had and to have it come in a form of a burger was a delicious bonus! We dined at Becker's twice during our Tokyo stay and both visits saw us ordering the same item. Looking at this picture now, all I want to have for lunch today is something Japanese! Does anybody know where I can get a yummy Teriyaki Burger around here? the burger looks yummy! yum! Aiyooooo it is yummy la Mon and I so feel like one now! But where la to get a nice teriyaki burger here kan? Super Duper Tuesday Rizal! hahahahha! Yeah la!!! Not sleeping it seems Monica hahhahahah! Some more I’m hungry to da max now after writing this post LOL!! Aha.. Bekeru ooo oishi deshitaka? Bun dia nampak gebu dan nampak mengenyangkan la. Whoaho!! Woosh! Wossh! Ehhh i see new announcement style on twitter. Wosh! Wosshhh! Untuk beberapa hari ni, restnrileks terasa bagaikan di Jepun walaupun tak berada di Jepun. LOL!!! Rizal woosh woosh tu untuk chop kat MPG! I still need 2 more FCs for my latest post Rizal, chop la! yeah.. rizal pernah juga ke Japan ni.. Tapi sampai Narita jerr.. masa transit Flight. Ahahahaha. Haha of coz can say dat Rizal, betul apa u pernah land kat Narita, blh pakai LOL! U transit Narita nak gi mana Rizal? Good morning marzie.. i'm hungry.. tak breakfast lagi ni!!! mintak skiiiit!!! LOL! 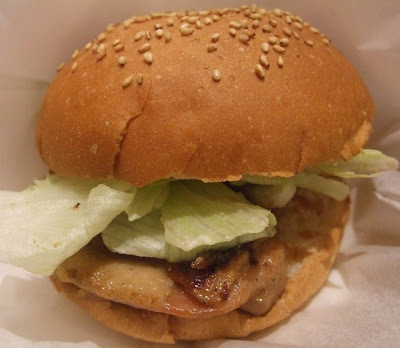 the burger looks tantalizing and you're making me hungry at this hour. Hugs Ane! I’m sure some will come your way! that was a nice way to start your day's meals ;) yumyum! I will get my beauty sleep soon Ayie! Probably get up late again later today he he! Just posted, go for it Ayie! haha i doubt I could beat Mon :-P she's extremely fast chopping!